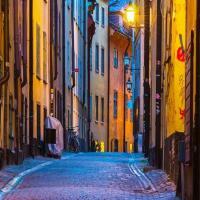 From exploring an off the beaten path neighbourhood to seeing the city’s most iconic sights, with a like-minded Local Host by your side, you’ll be able to immerse yourself in Stockholm’s rich culture and get a taste of local life. On your bespoke and personalised experience, discover world famous attractions as well as stopping by locals’ favourite coffee shops, boutiques, bars, eateries as well as finding hidden gems, so you can get the best of both worlds during your visit to Stockholm. Tick the famous attractions off your Stockholm bucket list, and discover places you’d never have known about - all with a local friend by your side! 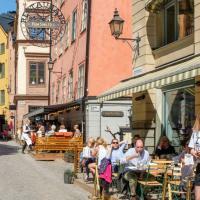 Grab a bite to eat or stop for fika or a beer at one of the local’s favourite cafés, restaurants or street food markets; a place that suits your preferences, budget and dietary requirements. Awesome guide , by far!!! Mara was such an amazing host!!!. 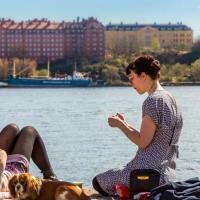 She was born and raise in greece but she has been living in Stockholm for almost 4 years. I honestly think Mara knows more of the local history, museum, Park, and fun hang out spots more than other local tourist guides I have been taking multiple city tours during my 5 days stay in Stockholm and by comparison, she is the best!!!!. If you were like me, I travel to Scandinavia on my solo trip, so during this trip I have done multiple tours with the group and some on my own. When I book Mara, it was an evening experience starting from 4 PM to 10 PM. The itinerary of our tour is completely how I planned and designed it and she totally exceeded my expectation. We started the evening with visiting a couple landmark in Cityview, she took me some of the local park using the bus and under ground train, go up to the hill for amazing city sunset pictures. she was also my personal photographer taking some amazing pictures:-). Then later on in the evening, we start doing our bar hopping. We even grab some local food truck. The whole experience is like literally hanging out with your best friend who is local to Stockholm. We ended The night on the high note, she offered me a couple options, and we decided to hang out at the local Jazz bar, it was spectacular!!. Overall what a great experience. 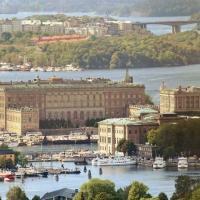 This is the best tour so far I have Ever booked in Stockholm (I meant scandanavia too). I heard that the city unscripted now expanding to a different countries. I look forward to yet more experience in different countries. Mara, you were awesome!